“In this Kaliyuga I know what all difficulties you all (my devotees) face. Whenever you have a problem, financial or health related or any other trouble. If you have problems with your job or business that take away your mental peace, if you perform this vratham at such a time, all those difficulties will immediately disappear. 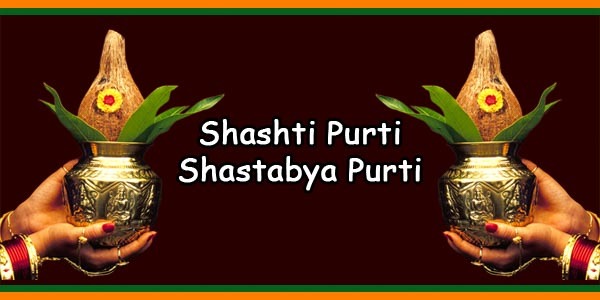 If you are performing an auspicious ceremony like a wedding, Gruhapravesam or beginning your education etc, if you perform this vratham, that auspicious ceremony will take place without any hindrances and will be a lot more successful. Sri Venkateswara Swami himself told about his favorite vratham to the bhaktha called. Timaraju Vishwapathi, RamakrishnaMurthy or “Vishwapathi” on the holy hill of Tirumala. So let us all people in the Kaliyuga perform this vratham with Bhakthi and Shraddha and get grace of Lord Venkateswara who is Kaliyuga Deva. We can get rid of our difficulties and get a lot of good results by performing this vratha which the lord likes so much and which is so easy to perform. Govinda !!! Govinda !!! Govinda!!! “In Olden days in Magadha Samrajya, There lived a bhakta called “Vishnuchitta”. He was a poor Brahmin who had nine daughters. Although Vishnuchitta was very learned being very poor he could not take care of his family well. 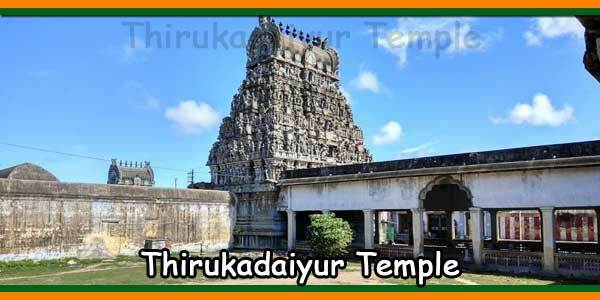 His wife “Taramathi” was very devoted to Lord Srinivasa, she always meditated on the Lord. Some times Vishnuchitta would go as a priest to perform, weddings and other auspicious ceremonies. They all lived with much difficulty with the little money he got from serving as a priest in these ceremonies. Oh devotees of Lord Srinivasa!! Lord Srinivasa the protector of those who take refuge in him loves his devotees a lot as we all know very well. That day was Maagha Pournami. In the morning an old Brahmin came to Vishnuchitta’s house. “Sir, I came fr Vanga Desa. I am going for a Yagya and in the way I came to this place. If you please let me stay in your house today I will go away torrow morning.” He pleaded Vishnuchitta. “Swami what can be a greater bhagya then that for me, Our puranas say that a guest who ces to your house should be treated like Lord Vishnu himself. Please ce and stay with us without any doubts. ” said Vishnuchitta. He brought the old brahmin inside washed his feet and made him sit on a chair. To that the old Brahmin replied “Amma, I do understand your worry, for all your difficulties to vanish and for your daughters to get good husbands there is a very powerful vratham. It is called “Sri Venkateswara Vratham”. It is very easy to perform. 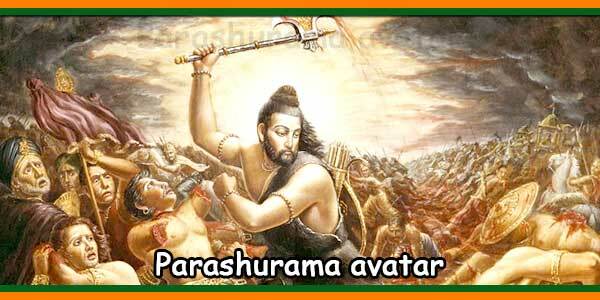 If you perform this vratham all your difficulties will vanish.” Then he explained how to perform the vratham. Listening to all this Vishnuchitta said, “Swami, That is very good. What could be more better then performing such an auspicious vratham. Why wait too long. Let us do it today. Today is Magha Pournami, a very auspicious day. If you agree we will perform the vratham today itself. Vishnuchitta and Taramathi invited all their relatives that evening itself and sat with all their daughters and performed the vratham with full bhakthi (devotion) and shraddha ( Concentration ). After the vratham all the relatives took prasadam and thirdham and went back to their hes. Then Vishnuchitta and Taramathi bowed at the old brahmins feet and asked him to bless them. Then the Brahmin took the ‘thirtham’ and ‘prasadam’ and He blessed them saying “May all your desires be fulfilled, May Sri Venkateswara and Goddess Lakshmi bless you”. It was night time. Since it was time to sleep Vishnuchitta gave the lord a torn blanket. With tears in his eyes Vishnuchitta said “Swami, I do not have a better blanket to offer you then this please sleep on this one today night and forgive me. I am very poor.” To this the old Brahmin smiled and told him not to worry since he would sleep outside. After a while everybody slept. At midnight there was thunder, lightening and heavy rain. It was very dark. Vishnuchitta was worried what was the state of the old Brahmin sleeping outside with all this rain but it was so dark that he could not go out. The whole family was awake and worrying about the Brahmin. They all waited when it will be morning so they could go and see the Brahmin. It was early morning and the rain decreased. Taramathi and Vishnuchitta came out to see how the Brahmin was doing. They saw a miracle the brahmin was not there! In place of the torn blanket was a shining silk sheet. On the sheet was Lord Sri Venkateswaras idol. It was smiling. !! Oh how lucky we are they thought. But we could not recognize the lord. They took the Lords idol and came into the house. “Did you see? Lord Venkateswara came to the devotee’s house told him about the vratham got him to perform the vratham, and also himself accepted the thirtham and prasadam. So the lord himself comes to take Prasad at a devotee’s house when the devotee performs the vratham with full devotion (bhakthi) and concentration shraddha). So you all perform this vratham and get the Lords grace. Sri Lakshmi Venkateswara kataksha siddhirastu” said lord Vishwamitra. “Oh Kaliyuga vasas! Lord Srinivasas beloved devotees! The Lord Srimanarayana in Vaikuntha is the same as Lord Srinivasa in Tirupathi. 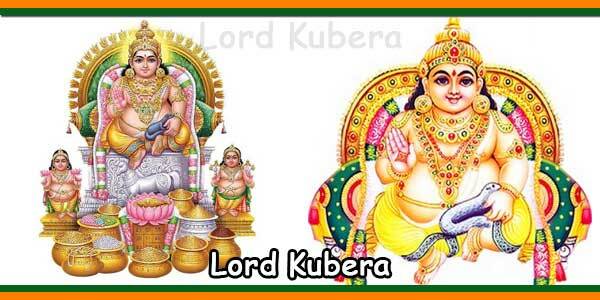 To help the devotees and remove their difficulties in Kaliyuga the lord took form as Srinivasa and lives in the Tirumala hill close to his devotees. In order to get the grace of Lord Venkateswara this vratham is very easy means. If one performs this vratham with bakthi and shraddha that devotee gets all kinds of wealth and happiness. 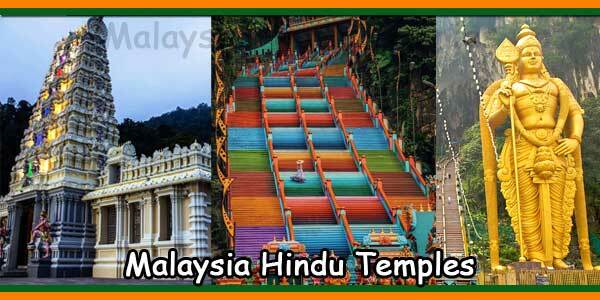 In olden days in Avanthi desa there was a town called “Bhagyanagar”. As the name suggests in that town. There were a lot of rich people. These people were very proud of their wealth. They looked down upon the poor people in the town. They were so haughty that they always thought they were very great and hence could get wealthy. They did not do their daily prayers. They did not pray even on auspicious days. Lord Narayana wanted to teach these rich people a lesson. One day it was “Tholi Ekadasi”, A very auspicious day. All the people were immersed in their own fun and feasting. No one prayed or lit a lamp. 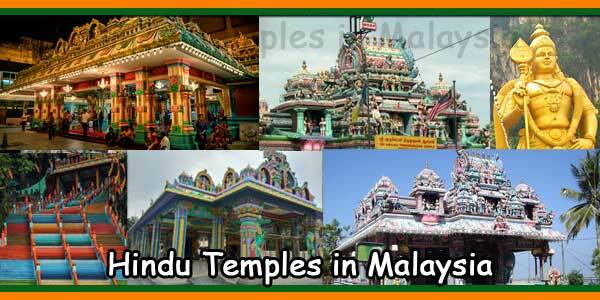 There was a Lakshmi Narayana temple on the east side of the town. No one even lit a lamp in the temple. In the evening a big storm came and by morning all the rich peoples houses and businesses drowned in the flood. They lost everything, all their wealth was gone. No one could understand why there was a sudden thunder and storm. They also found another mysterious things. All their strong cement houses and buildings were drowned and spoilt, but the small houses on the other side of the town were perfectly fine. They all were amazed and wondered what was the reason their houses were all broken while the huts were safe in such a big storm. They heard a voice fr the sky say “Oh Fools!! Since you always thought that your wealth was due to your greatness this, has happened. In those huts there lives a poor person called “Devayya” He is a very good devotee of mine. A very poor person but he goes and lights lamps in the Laksmi Narayan temple in your town. Also every Ekadasi day, He does Sri Venkateswara Vratham according to his means. As a result of that vratham he and everybody living around him in those huts have been saved. If you all perform that vratham you will get your wealth back. All the people ran to the temple. They all did the Vratham with devotion. When they returned all their houses and other belongings were safe as before. Fr then the rich people changed they prayed daily and did the vratham on every Ekadasi day. They lived happily and peacefully for the rest of their life and at the end they attained Moksha. Sri Venkata Nivasaya Srinivasaya Mangalam Govinda !!! Govinda !!! Govinda!!! “Oh people of Kaliyuga! Beloved bhakthas of Lord Sri Srinivasa!! “Sri Venkateswara Vratham” that you are performing is very pure and divine. It is very powerful. All your desires will be immediately fullfilled, This is a very easy way of getting Lord Srinivasa’s grace in this Kaliyuga. In order to bless all of you Lord Venkateswara has made Tirupathi his he. Only after merits of doing good deeds for several life’s do you get the opportunity to set foot on the divine hill of Tirupathi. Similarly the wish to do “Sri Venkateswara Vratham” also ces only due to merit of many lives. Those who perform this vratha, those who listen to these stories and those who eat the prasadam are gaining the grace of the Lord. “Long time ago in a place called “Nagar” there used to live a trader called “Dhana gupta”. Although he had a lot of wealth, he was very miserly. He was also very proud of his wealth and thought of it as his greatness that made him rich. However great a person may be, however knowledgeable or rich, if he is haughty and proud that results in his downfall. Dhanagupta’s wife Kountimathi was very devoted to Lord Venkateswara. She was a good lady. They had three daughters the last one was called “Kumari”. Kumari was very devoted to Lord Venkateswara and always meditated on him. Without her fathers knowledge she would go to the Venkateswara temple and have darshan of the lord when ever possible. She would get prasadam he which everyone except her father would eat. Kounthimathi worried about her husband’s attitude and behaviour. One day “Kumari” went to hear the stories of the “Sri Venkateswara Vratham” being performed at a friends place. By the time the vratham was over it was afternoon. She took the prasadam. She packed a little of it in a small leaf and started for he. Half way he the weather became very hot. She felt very thirsty and remembered that her father’s shop is close by. She quickly went there drank se water and ran away he before her father starts asking her where she was cing fr and getting angry. In the hurry she forgot the prasadam wrapped in a leaf on her fathers table. In that bazaar a big wild fire started and it started spreading very fast and se shops were cpletely burnt. People started running into the streets and shouting and crying and all. Dhanagupta was very worried. In se minutes his shop and all his wealth would be burnt. He did not know what to do. He thought it is better he also gets burnt with the shop. In the worry he touched sething soft on the table. Without thinking at all he opened the leaf and ate what was inside, it was sweet and tasty and also he started feeling better, less tensed and more relaxed. Immediately the fire stopped spreading right at the shop next to Dhanaguptas shop. Not even a minor flame came to his shop. He was astonished. By that time everyone at he came to know there was a fire hazard at the bazaar, Kounthimathi and her daughters came running all worried about Dhanagupta. They were mentally praying to Lord Srinivasa all along the way. As soon as they saw that the fire stopped at the exact next shop they were overce with happiness and amazement. Kumari came and looked for the packet of prasadam she forgot at the shop. Dhanagupta realized that he had eaten that prasadam only. Kumari told them about the Sri Venkateswara vratham that she attended. Dhanagupta realized that he had been saved fr such a big danger because of accepting the Lords prasadam. Dhanagupta realized his mistakes and apologized to the lord. That day evening itself they invited all the villagers and performed the vratham with bhakthi and shraddha. Fr then on Dhanagupta always prayed to Lord Venkateswara and he finally attained Moksa. Tirupathi Tirumala is the Vaikuntham on Earth. There is no holy place equal to Tirumala. There is no deity equal to Lord Venkateswara. 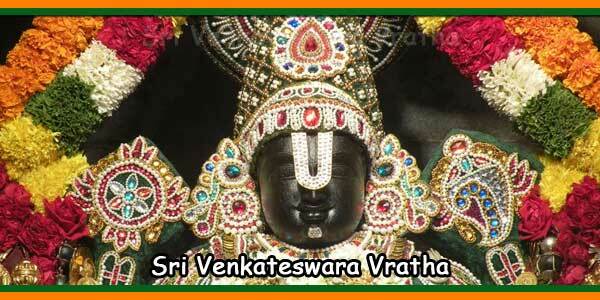 Sri Venkateswara who is a form of Srimmann Narayana loves his devotees very much. Those who trust Lord Srinivasa, remember and pray to him always and live life doing their duties and good deeds, he always takes care of them. To get the grace of such a great diety this vratham is a very easy means. This amazing vrathams fifth story was told by Athri Maha muni as follows. “In Olden days in Koumara Desa. There lived a washerman called “Mithrudu”. He used to do his duty and also make donations and do good deeds whenever he can. He was very worried due to his lameness. Because his leg was lame it was very difficult to deliver the washed clothes to each house. He had lots of children and responsibilities. If he did not work they had no food. He always prayed to Lord Venkateswara. He always believed that Swami Sri Venkateswara will surely bless him and remove his lameness seday. Lord Srimmann Narayana who loved his bhaktas had been observing this. For anyone after their past karma is cplete. ( They have already bore the fruits of their misdeeds ) . Lord Narayana will ce to help them in se form or the other. The lord explained in detail the “Sri Venkateswara Vratham” . With great excitement Mithrudu came he told his wife the happenings, invited all friends and relatives and did the vratham nicely. He took the prasadam. The kings soldiers came and told him, that the king has invited Mithrudu to be the royal washerman and work at the palace. He also sent 1000 gold coins to him. They gave him the bag of gold coins. The king had asked him to ce next week. There was no boundary to Mithrudu’s happiness. He said why wait till next week I am cing right now. He packed his clothes and started for the palace, next day early morning. In this happiness he forgot about the prise he made to the old Brahmin. He remembered the old Brahmin in the way and thought what hurry I will meet him after a month. After joining as a royal washer, he got busy and forgot cpletely the prise he made to the old Brahmin. The great Lord Venkateswara who had come in the form of the old Brahmin got very angry. “This is human nature”, thought Lord Narayana and decided to show his greatness. Lord Narayana who loves his devotees a lot, became happy and forgave Mithrudu. 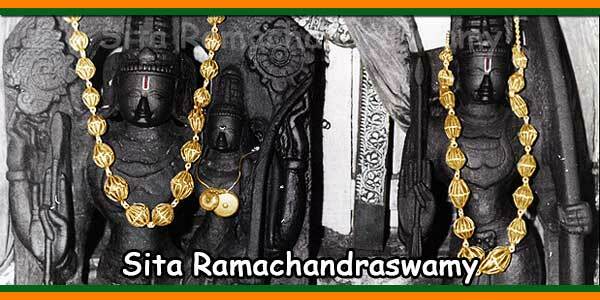 Due to Lord Narayana’s grace, the queen’s jewellery was found sewhere else and Mitrudu was released from jail. From then on Mitrudu always performed the Sri Venkateswara vratham every month. He also gave half his earnings to the lord. Mithrudu lived happily for the rest of his life and attained Moksha after he died.